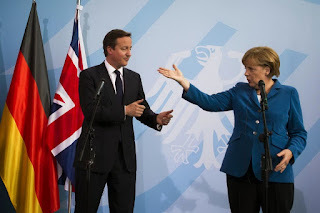 Britain is now debating leaving the European Union, making Brexit as big of a deal as Grexit. With the growing flood of immigrants through Europe, working its way to Britain, the British exit is gaining support. More economic disintegration within the Eurozone will certainly strengthen the case for a little more separation from the European Union…. So, Europe is its own volcano, ready to break apart on all sides…. A worldwide eruption, which I call the Epocalypse, will shatter the landscape — is already shattering the landscape…. You might not like the prediction (I know I don’t), but it doesn’t matter if you like it (any more than it matters if I like it). I’m not looking to see what I want to see; I’m looking to see what is, and reality doesn’t care what I like. It doesn’t ask me what it should be. Those with eyes wide open will see the fissures that are opening up everywhere, and that will give them the outline of things to come. So, you can see what is coming…. it is those fissures that the Epocalypse will burst open. Humanity will be forced to face its flaws. Socio-political disconnects are everywhere: The “leave” decision is about much more than a narrow majority of citizens refusing to follow their political leaders. It should be seen as a notable rejection of the political and business elites, as well as “expert opinion.” And it also illustrates the regional divides that prevail following a period of low growth, especially growth that has benefited some groups more than others…. The Brexit referendum decision ended up boiling down to a gross oversimplification — one that pitted economic wellbeing versus regaining sovereignty over immigration…. The “leave” vote is likely to embolden the anti-establishment movements that have already been gaining traction in much of Europe. Another positive — for I see the British courage to break away as hugely positive — is that this injury to European globalization will seriously neutralize the central powers that be. (Not that they will not all return to centrist answers — as that is all they are capable of envisioning — but it’s good that they’ve been challenged with a direct hit to their blind courage.) Now that they know major portions of their economy can and will cut themselves off, they won’t feel so empowered to force their dictates upon failing economies like Greece, Spain, and Italy. They now knowthey are far, far, far from immune to a mass uprising against their poorly painted dreams.